We are delighted to kick off the first In Conversation series of 2019 with the CEO of Calor Gas Ireland Gino Vansteenhuyse. Gino believes education is a vital part of Ireland’s response to tackling climate change. Read through his experience and leadership in driving the sustainability agenda. Please describe your role and responsibilities & how many years you have been in the company. 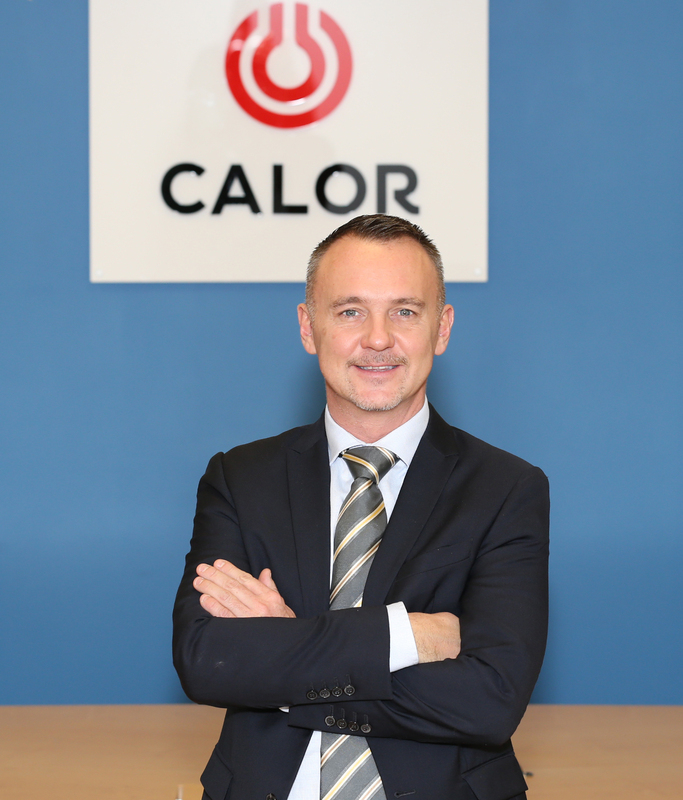 I am CEO of Calor Gas Ireland, which encompasses the Republic of Ireland and Northern Ireland. While I have been in this role for just one year, I have been employed by SHV Energy (Calor’s parent company) for 19 years. My career with SHV started in sales, and for almost two decades I’ve worked in a number of management roles in five different countries, most recently as Chief Commercial Officer for Primagaz in Paris. SHV operates in 28 countries and supplies Liquified Petroleum Gas (LPG) to 30 million customers across 3 continents. How has the sustainability programme evolved at your company? Helping local communities to help themselves is at the heart of our CSR philosophy. For the past ten years, SHV has recognised and celebrated excellence and outstanding achievements in local, community based CSR initiatives. Calor has been serving rural communities and businesses in Ireland for more than 80 years. We see our role in local communities, not just to power homes and businesses but also to reflect the heart of those communities. We support community clubs that are often underserved, we sponsor local events and charities across the country, and we educate children about topical issues like climate change. We also advocate with the Government to ensure that rural communities have a strong voice in Ireland’s energy transition. I believe education is vital to tackling Ireland’s response to climate change. Through our founding sponsorship of the interactive Cool Planet Experience (CPE) in Enniskerry, Calor’s goal is to help the next generation to become “climate literate” and to equip young people to become the vital catalysts for change. We support the CPE philosophy that making smart, sustainable choices can enrich your life, save you money and the planet. This is particularly important for rural communities and businesses. The energy transition must be a win-win proposition. Sustainability has many key challenges and issues, what are the ones personally important to you? In 20 years, I would like to celebrate Calor’s 100th anniversary in Ireland, so for me, sustainability is about preserving the future of our business. Calor’s longevity is dependent upon Ireland transitioning to a low carbon economy. That’s a big challenge and Calor has an important role to play. I have witnessed the transformation of SHV’s global business in recent decades and the importance of innovation and diversification. SHV was founded in 1897 by six families who came together to trade coal. That evolved into a company that after World War II transitioned to oil, and then gas, more specifically Liquified Petroleum Grid (LPG) for off-grid rural communities. Since the 1990s, SHV and Calor have been looking for the next fuel innovation. In the late 2000s, we invested in over seven years of R&D to develop a renewable liquefied gas. 2018 was a milestone year for Calor with the launch of Bio-LPG, the first commercial, off-grid, renewable gas. BioLPG offers up to 90% lower emissions than existing LPG and enables rural homes and businesses to significantly reduce their carbon footprint. Our target was to transition 10% of our customers by the end of 2019 to BioLPG and so far we are on track to exceed our target. BioLPG is already being recognised by policy makers in Europe as an effective method of reducing greenhouse gas emissions and meeting national carbon reduction targets, for example, the UK Department for Transport. Sustainability is at the heart of our strategy. It’s a statement we take seriously and I believe that in addressing sustainability challenges, Calor will continue to grow and thrive in rural Ireland. I am very proud to lead a company that is transforming the rural energy landscape for future generations. What do you think is the role of business is in driving the sustainability agenda? Our role is very much about education and advocacy. Calor’s collaboration on the Cool Planet Experience is just one example of educating the next generation on the importance of sustainability. It is the world’s first permanent visitor centre dedicated to climate change and it engages young people on how they can make a difference by taking simple actions like turning off lights and encouraging energy efficient behaviour amongst family and friends. Effective collaboration between government, industry and local communities is imperative to address the climate change challenge and to build momentum around the national sustainability agenda. Calor supports Minister Richard Bruton’s “all of government plan” to make Ireland a leader in responding to climate change. We can play an active role in supporting the government’s policy goal to further reduce carbon intensity and to increase the uptake of renewable fuels. Industry, however, needs strong policy measures to support investment, to encourage behavioural changes and to help businesses to address cost competitiveness. Companies need to demonstrate leadership in reducing their own energy consumption; investing in sustainable product and service innovation and tackling the carbon impact of their business activities. I’m looking forward to meeting our goal of a 25% reduction in Calor’s carbon footprint by 2025. We aren’t stopping there. By 2040, our goal is for 100% of our energy products to be derived from renewable sources. What is your biggest accomplishment or learning so far? My key lesson learned is that tackling climate change will not be done by just one solution but will require a combination of energy solutions in which gas and gradually bio-gas, will play a crucial role. I am happy that more and more homes and businesses in rural Ireland are making the switch from polluting fuels like oil to a more efficient and low carbon fuel such as LPG. By doing this, they are positioned to transition to Bio-LPG in the future, without any further investment. I am delighted that BioLPG is selling well in Ireland. We are currently investing in increasing our supply capacity and hope incentives will one day be developed to support the production of Bio-LPG in Ireland. I am also excited that Calor will bring a second product innovation to Ireland this year – Liquified Natural Gas (LNG). Our first industrial customer will substitute 5000 tonnes of heavy fuel oil for LNG, which will generate a significant reduction in carbon emissions. I look forward to applying the experience I gained in Europe developing and delivering an LNG supply infrastructure for fuelling heavy goods vehicles, here in Ireland. An LNG fuelled truck is the first proven, commercially viable, lower carbon alternative to a diesel truck. The first right-hand drive LNG truck has now arrived in Ireland and it signals the start of the energy transition in the transport sector. Europe’s ambition is to transition 50% of all HGV’s to gas by 2030. Bio-LNG is then merely a step away. My motto in life is quite simple – to be good. For me this means to support others as much as I can and to focus always on the future. Everybody knows that good can be the enemy of great, of which I am a believer. However, I have also found that great can be the enemy of good. Being good, in the true sense of the word, encapsulates strong values, patience, persistence and sustains you for the long-term. Sign up to our monthly newsletter for more stories like these.